The GRASP reading and math program, offered through Extended Educational Services each summer, helps maintain these critical skills. 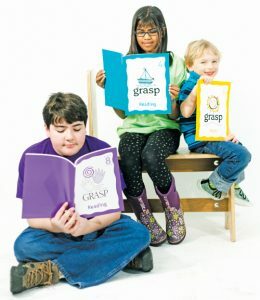 GRASP is an at-home program for students in kindergarten through 8th grade. Students complete one lesson a week and then mail it to reading and math teachers who review, score and return each assignment. The GRASP teachers recognize the flexibility of a student’s summer vacation, allowing the family to mail each lesson from anywhere their summer travels take them. The price is $75 for one subject ($85 after May 16), or $129 for both subjects ($139 after May 16). Staff tuition waivers apply ($35 for one subject; $49 for both). Partial financial assistance is available for those who qualify. To register or to learn more about the GRASP program, download the registration flier HERE or call NMC-EES at (231) 995-1700.